With just six months until the primaries in this year’s city elections, declared candidates for the Republican mayoral nomination have begun to step up fundraising and campaigning. Meanwhile, two potential GOP mayoral candidates are still exploring a run, and the entrance of one or both could shake up a race that is off to a seemingly lopsided start. Midnight on Wednesday was the deadline for the latest round of campaign finance disclosures, covering a two-month period from January to March. Three candidates have officially declared their runs for the Republican nomination -- real estate executive Paul Massey; Harlem pastor Michel Faulkner; and disability rights activist Darren Aquino. Two others have also been flirting with the idea of running -- Queens City Council Member Eric Ulrich, one of three Republicans in the legislative body; and billionaire supermarket magnate John Catsimatidis, who lost in the GOP mayoral primary in 2013. 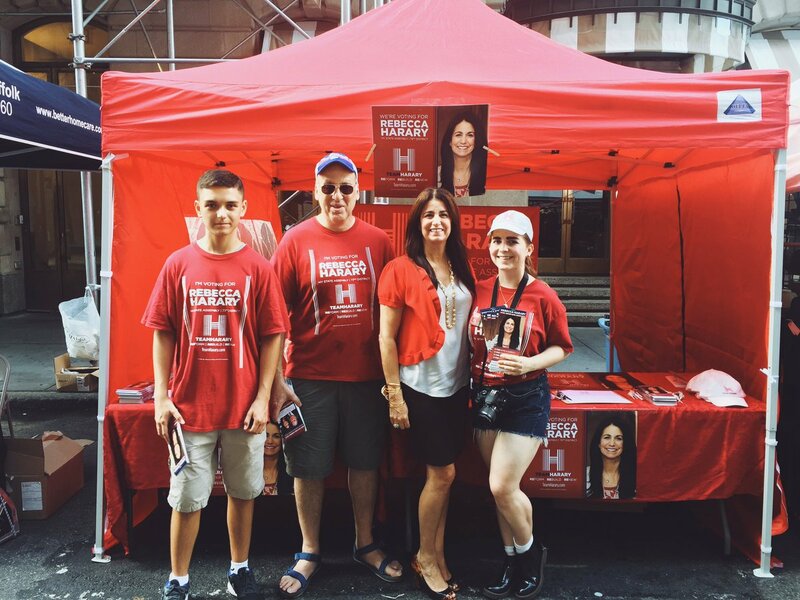 While Ulrich’s fundraising picture may prevent him from launching a campaign -- plus he could run for another term in the Council; Catsimatidis would self-fund if he runs and has the resources to mount a robust campaign. Massey is far ahead of the fundraising pack, having raised $865,000 in the last two months from 983 contributions. But, he also spent about $1.09 million in the same period. His campaign’s contributions to date total $2.48 million and his expenditure is about $3.3 million. He has also personally loaned his campaign about $1.97 million, leaving a balance of $1.16 million in his campaign account as of this week’s mid-March filing with the city’s Campaign Finance Board. 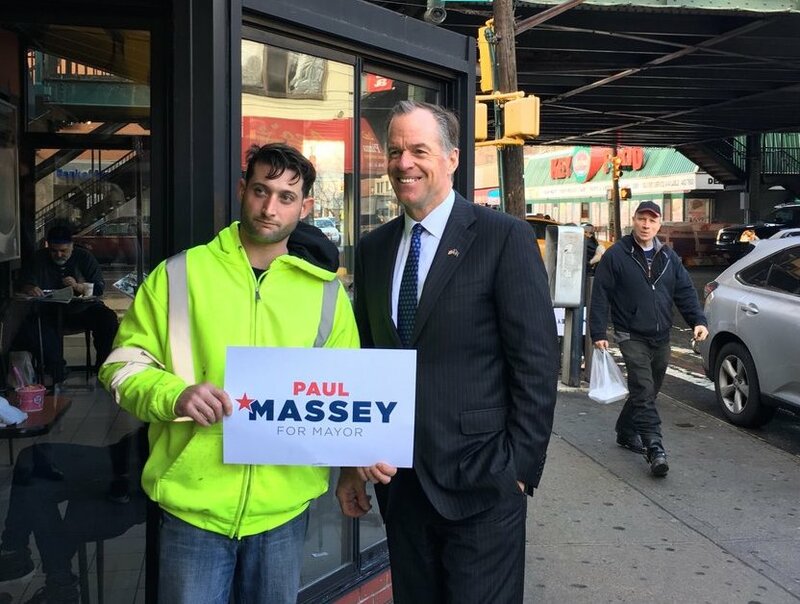 In an email blast on Wednesday, Massey touted his recent “fundraising record” which was more than double Mayor Bill de Blasio’s $394,000 raised in the last two months. “This is a significant indicator of what we have known all along – de Blasio is vulnerable and beatable,” the email read. 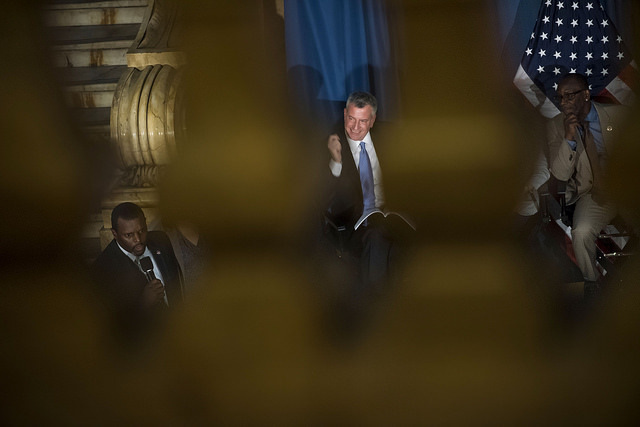 De Blasio, however, has raised much more overall and spent far less, and has $2.32 million in his own campaign coffers. Unlike Massey, the mayor is also participating in the city’s public matching program. 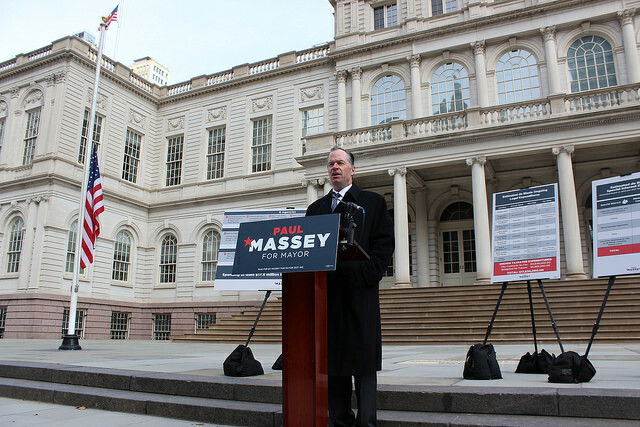 Massey, who officially launched his campaign in Queens on Monday, has emphasized the mayor’s vulnerability based on the two corruption investigations into the administration. He continued to harp on the controversy, even after federal and state prosecutors announced Thursday that they would not be bringing criminal charges against the mayor or his aides. Massey is also not participating in the city’s public matching funds program -- which gives candidates 6-to-1 matching funds for every qualifying contribution up to $175 -- but boasted the strength of small dollar donors to his campaign. “[W]e almost doubled our donor base and almost half of that was from donors under $175, which proves the other thing we’ve known all along -- the more voters hear our message of integrity and leadership, the more they want to get involved,” the Wednesday campaign email read. Faulkner’s fundraising haul pales in comparison. He has raised a total of $64,514 in contributions and has loans to his campaign worth $152,875, most of which was his own money. His campaign spending, about $268,000 outpaces his total fundraising, putting him just over $50,000 in the red. Between January and March, he raised $13,300 but spent $82,177. Faulkner fashions himself as a candidate who will appeal broadly to Republicans and moderate Democrats, but that is at odds with his vocal support for President Donald Trump, who was soundly rejected by New York City voters in the presidential election. Faulkner has echoed some Trump policies, and opposes New York’s “sanctuary city” status. 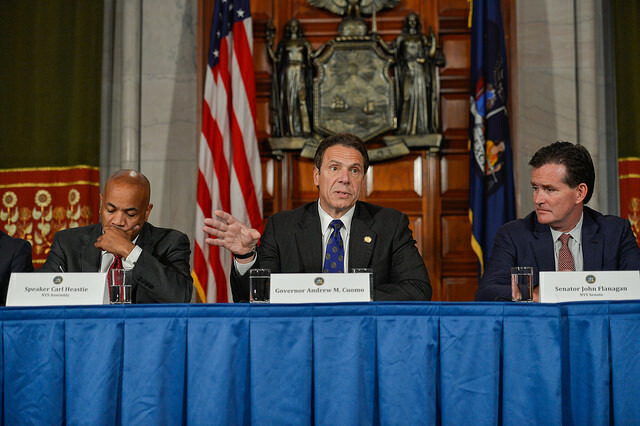 Like other Republicans, he has criticized the mayor for presiding over a decline in the quality of life in the city, citing an explosion in homelessness and the perception that the streets are unsafe, even though crime is at historic lows. Darren Aquino’s fundraising and presence in the campaign has been almost negligible. He has raised just $1,800 total, and spent half of it. 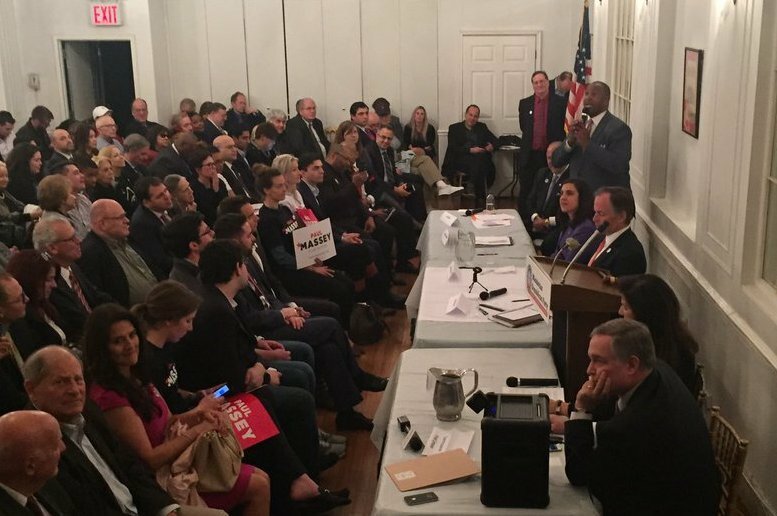 He has also made no media appearances other than participating in a March 9 mayoral candidate forum alongside Massey and Faulkner at Columbia University. Council Member Ulrich was also on stage at that forum, organized by the Columbia University College Republicans, but not as a declared candidate. Ulrich has been hesitant to jump into the race and may be even more so now that the mayor has been cleared in the two investigations. His fundraising numbers also don’t indicate that he’s readying a run. He has raised just over $57,000 and spent about $16,000, leaving him $41,000 in his campaign account. In the last two months, he raised $5,455 and spent $791. Appearing on WNYC’s The Brian Lehrer Show on Tuesday, Ulrich criticized Mayor de Blasio while also putting on display his anti-Trump bonafides. Ulrich supported Ohio Gov. John Kasich in the Republican presidential primary last year, and Kasich has fundraised for Ulrich’s potential mayoral candidacy. When Ulrich began exploring a mayoral campaign last year, he told Gotham Gazette in October that he would not run if he was going to be embarrassed, and that a key piece of running a viable campaign is fundraising. Then there is Catsimatidis, who lost the 2013 Republican nomination to Joe Lhota and wants to run one more time, he has said. Catsimatidis has been noncommittal and has not even registered a committee with the campaign finance board. But, he can rely on his deep pockets to self-fund his campaign, and poses potentially the biggest threat to the fundraising frontrunner Massey. At the very least, Catsimatidis may force Massey to spend even more money during the primary.